There are lots of options nowadays when it comes to flooring materials. In the past, houses used to come with either marble flooring, terrazzo, tiles, or parquet. But today, one option that is gaining popularity is laminate flooring. Laminate flooring is being used almost everywhere; in retail stores, cafes, gyms, badminton and squash courts, and even in bowling alleys. There are many reasons why laminates are so commonly used today. For starters, they are affordable, come in a huge range of designs, and are easy to install. To know whether laminate flooring is right for you, you need to understand the different properties that make it suitable for your home. 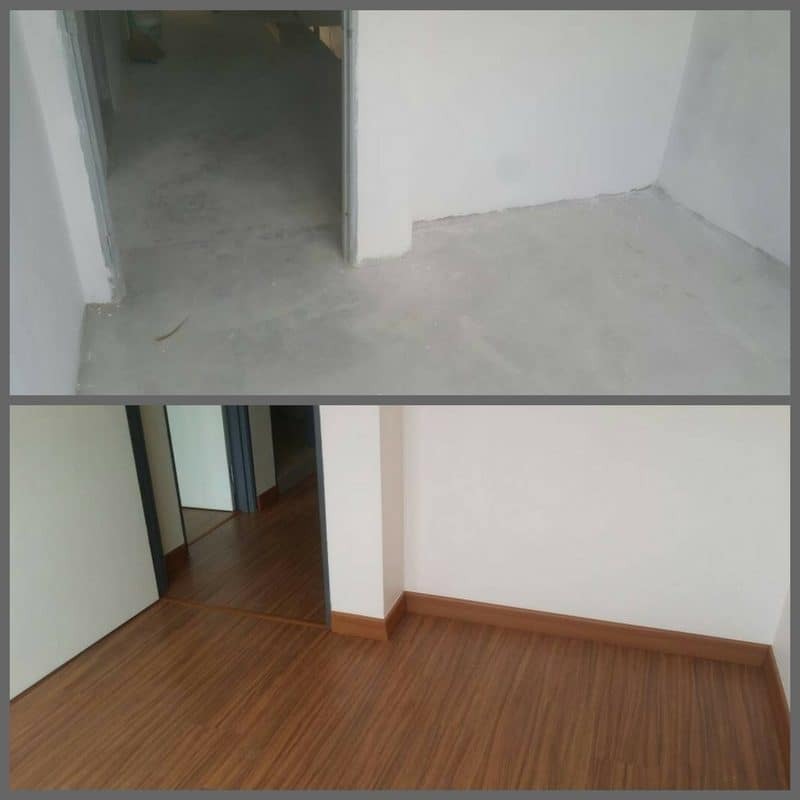 Do you require reliable flooring contractors in Malaysia? For starters, it’s not wood. It’s actually several layers of synthetic materials that are pressed together into long planks. The balancing layer is the bottom surface of the laminate plank. This layer helps to resists moisture and provide stability during installation. The core layer makes up the bulk of the laminate flooring plank thickness, and is made of compressed wood fibres mixed with a resin to make it stronger. The pattern layer is what gives laminate flooring it’s design. It’s actually a printed picture of the material you want it to look like. It can be an image of wood, marble, stone; anything you like! Today’s printing technology means that even experts can have a tough time telling whether a laminate floor is real wood. Finally, the wear layer is a very hard, clear protective layer at the surface of the laminate plank to protect it from scratches, damage and wear and tear. This is the layer that you step on, and put your furniture on. 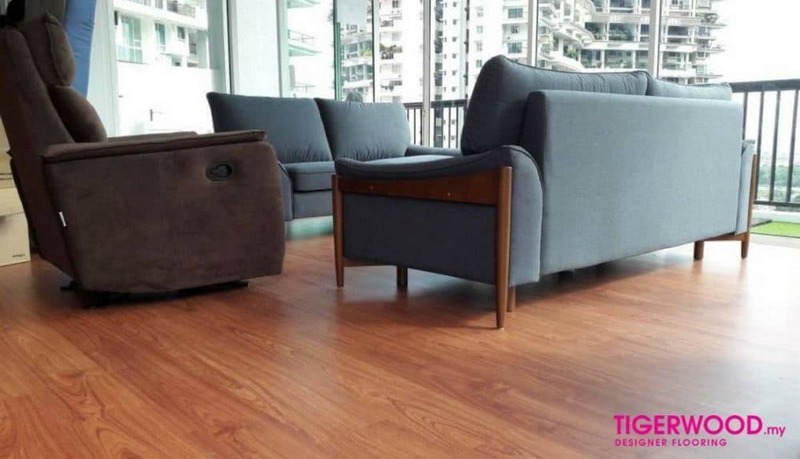 Cheng Yew Hoong from Floor Culture, which carries the brand of laminate flooring called Tigerwood, says that laminate flooring layers are compressed with high pressure under high temperature. Once the sheets are pressed, they are cooled and fully cured to prevent any surface imperfections. Is laminate flooring as strong as real wood? Laminate flooring can be just as tough as a hardwood floor, if not tougher. 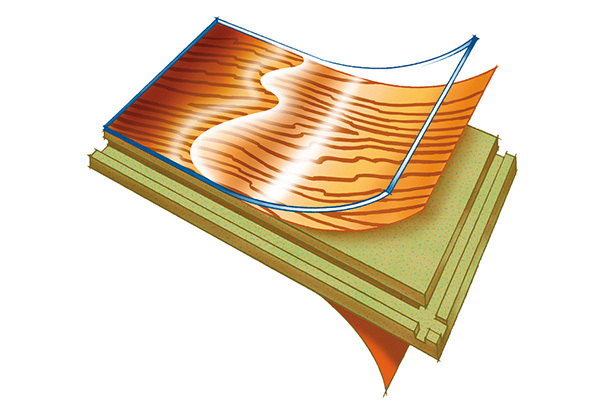 That’s because the inner core is made from high density fibreboard that has been compressed under extreme pressure. And the surface wear layer is coated with aluminium oxide, one of the toughest coatings available. In fact, laminate floors are preferable in residential or commercial properties with lots of foot traffic. Unlike hardwood floors, they will not scuff or start to squeak after heavy use. The toughness of laminate floors are graded based on its Abrasion Class (AC). They are ranked from AC1 (for moderate residential use including bedrooms and closets) to AC5 (for heavy commercial applications including department stores). According to the World Floor Covering Association, the European Producers of Laminate Flooring (EPLF) developed the AC rating system based on a series of tests, including Taber Abrasion Test, impact resistance, stain resistance, burn resistance and swelling resistance. How thick are laminate flooring planks? Laminate flooring planks usually come in 8mm or 12mm thickness. Since laminate flooring can be installed on top of existing floors, homeowners typically choose 8mm floorboards to minimise the amount of added height. However, if added durability is needed, 12mm floorboards are recommended, as they generally come with AC5 coating. 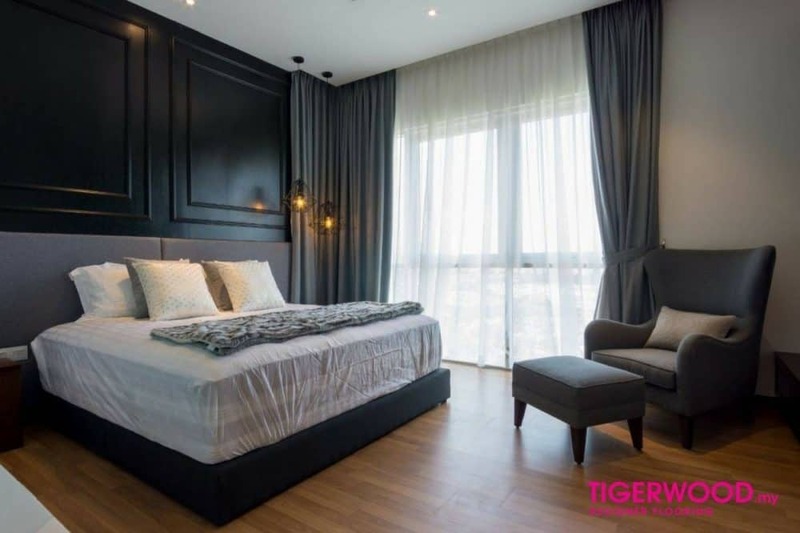 Cheng says that Tigerwood has also introduced an 8mm floorboard with AC5 coating, making it one of the thinnest and toughest floorboards in the market. Another reason why homeowners choose 12mm over 8mm is when the subfloor has a serious leveling issue prior to installation. In this case, using a 12mm floorboard can help make the floor more even. What designs are available for laminate flooring? Because laminate flooring uses a photo-printed layer, almost any design can be replicated; from natural hardwood appearances to natural stones and ceramics. Tigerwood, for example, has two ranges of designs for laminate flooring – the Jacksoni and Siberian series. Homeowners choose laminate flooring because it offers a wood-like appearance, yet are much cheaper and easier to maintain compared to solid and engineered wood. Will the design fade after a while? It is uncommon for laminate flooring to change colour, even though it may be exposed to constant sunlight. However, if you are installing laminate flooring in a spot that receives constant direct sunlight, you should also install window curtains or blinds. Laminate flooring can withstand heavy foot traffic, the use of high heels shoes or even roller chairs. It can also hold the weight of heavy furniture or even pianos. According to Cheng, their products can last up to 30 years with proper care and maintenance. The company also offers the option to upgrade to lifetime termite warranty for its laminate flooring. Laminate flooring is also fade, stain and wear resistant. It is uncommon for the colours of laminated floors to fade. Its surface layer is also immune to cigarette burns while permanent stains can be easily cleaned with household thinner. Laminate flooring does not require any regular treatment. It has already been treated and coated with melamine resin so avoid using floor wax, steam cleaners, floor polish or similar products to polish the floors. Can I install laminate flooring in the kitchen or outdoors? Laminate flooring is not designed to be installed outdoors as it is not weatherproof. And, though they are made of high moisture resistant substance, they are not meant for areas flooded with water such as bathrooms or wet kitchens. The ideal rooms to install laminate flooring is the bedroom, study, living and dining room. They can also be installed in dry kitchens, or kitchens that will not have puddles of water. Laminated flooring is installed by using a floating glueless method. This means that the boards are floating over the subfloor. Laminate planks have interlocking grooves along its edges which form a secure seal when slotted together. 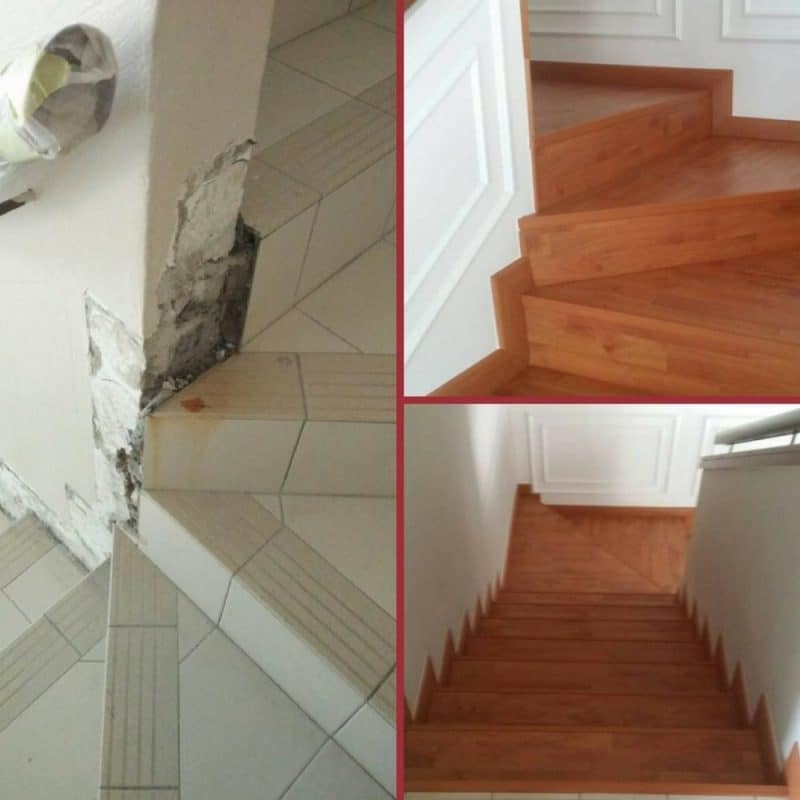 This installation method also allows laminated floors to be easily replaced if damaged. How to clean and maintain laminate flooring? You can use a vacuum cleaner or a broom with soft bristle to remove dust and dirt on laminated floors. If you are going to wet mop the floor, make sure the mop is well wrung and use only floor cleaners that are safe for laminate floors. Leave the floors to dry after mopping but do not let puddles of water collect as it may cause warping. If you spill any liquid on the floor, wipe it right away. If you have any potted plants indoors, make sure you place drip trays under them to prevent water from leaking out of the pots. 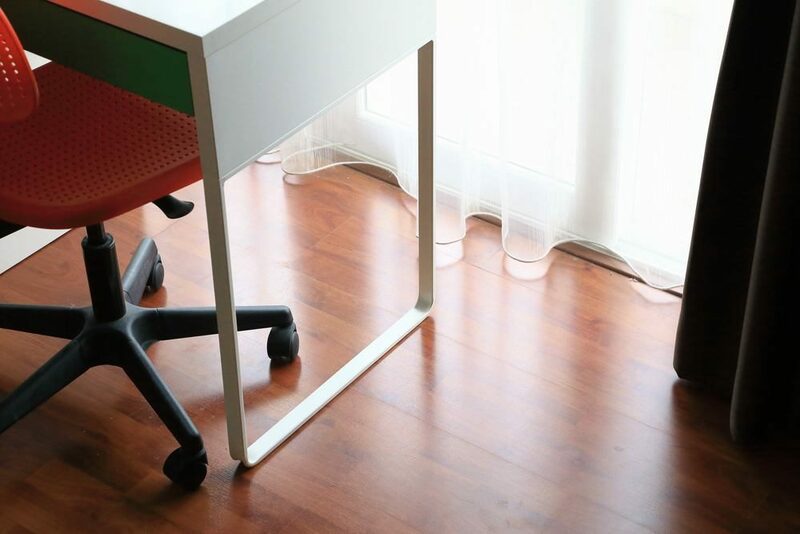 Depending on the AC rating of your laminate floor, you should use felt pads or floor protectors under furniture legs to prevent scratching over time. And exercise caution if you need to move large objects or equipment. Avoid nailing or screwing any fixtures into the laminate flooring as this may render the warranty null and void. How much does laminate flooring cost in Malaysia? 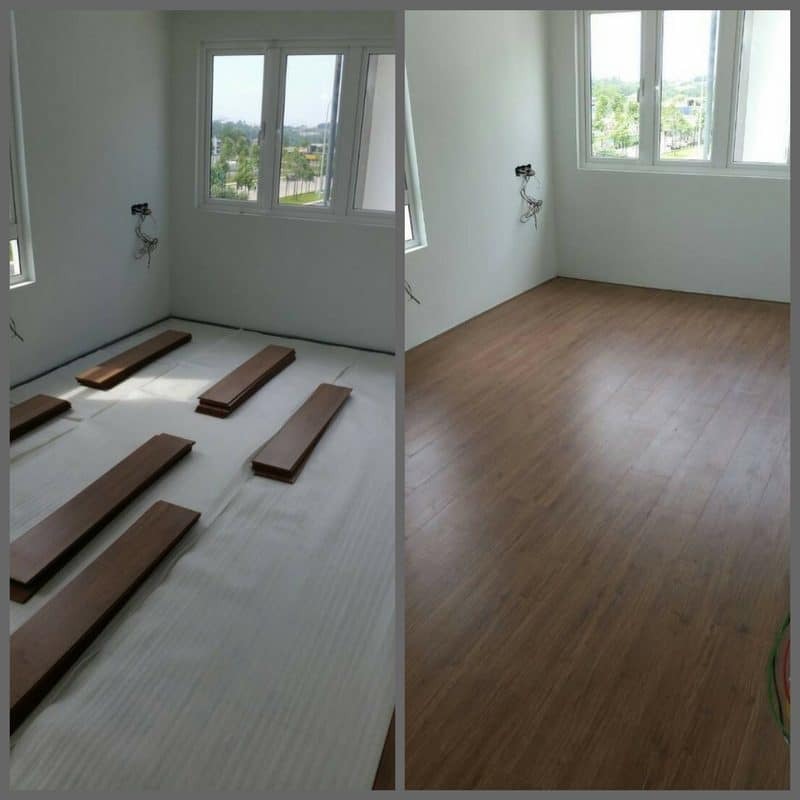 Laminate flooring starts from about RM6.50 per square foot including installation. However, this may increase depending on the AC rating and thickness. And, if the existing subfloor is very uneven, additional work may be required to even it out before installation. To get a more accurate quote, you can send your requirements to Recommend.my or Tigerwood. It is not difficult to understand why laminate flooring is gaining popularity in Malaysia. Besides being an affordable and stylish option for homeowners who prefer wood-like appearance for their flooring, it is also easily installed, cleaned and maintained. Its durability and toughness also make it a suitable material for most rooms in the house.